The face of the oldest champagne house, Ruinart, founded in 1729, is actually a rather young one. Frédéric Panaïotis was merely 43 years old in 2007 when he was put in charge of winemaking at this bijou house belonging to the prestigious LVMH collection. 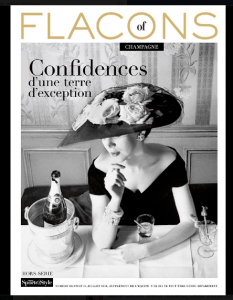 Skilled cellar masters are Champagne’s celebrated stars. “I am not the star, the champagnes are the stars. We cellar masters spend most of our careers talking about the wines that our predecessors made. I am only the guardian of the style for the generations to come,” says Frédéric Panaïotis in his characteristically modest and considerate way. During his eight years at the house, the wines have notably gained in precision, and accordingly, the Ruinart champagnes have recently been awarded top prizes in prestigious wine competitions. “We have put a lot of attention to details via numerous individual projects,” Panaïotis says, always speaking about the team instead of himself. But how was the young Frédéric? “I was a good student, extremely fond of animals, and fishing was my favourite pastime,” he sums up. Panaïotis is a local Champagne boy, and his grandparents had a small Chardonnay vineyard in Villers-Marmery in the Montagne de Reims. “We had a big family-gathering every Sunday where I got introduced to champagne. And I did make pocket money by doing harvest work,” he remembers. Appropriately, after many twists and turns, he has ended up heading the winemaking of a house known especially for its Chardonnay champagnes. Frédéric Panaïotis was originally built to be the next chef de cave of a great Pinot Noir house, Veuve Clicquot, but predecessor’s sudden passing took him from Clicquot to Ruinart. “A house of this size and quality level suits me perfectly,” confesses Panaïotis. 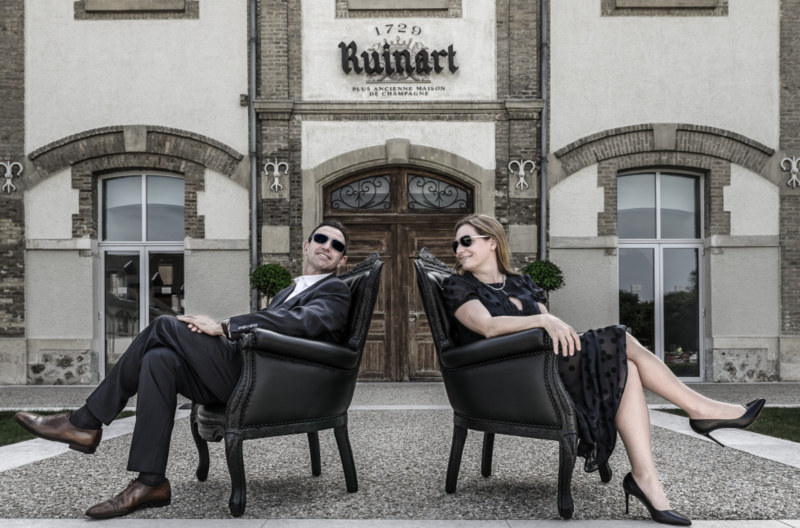 Ruinart has long been a connoisseur brand, reputed for its strong association with the sommelier world. The savvy and suave Panaïotis fits into this world perfectly. To me, he seems at home in a rainbow of cultures and appears genuinely enthused of discovering more about them. Panaïotis’ open and inquisitive mind have made him the cosmopolitan he is today. Even if Panaïotis mainly comes across as the intellectual type, there is a wild side to him. For instance, his favourite pastime is free diving which has a dangerous sound to it. “Actually people have false conceptions about the sport. More accidents happen in scuba diving. I am not a risk-taker but rather a risk-calculator.” He certainly did take a calculated risk with the 2007 Dom Ruinart that he made on his first harvest at Ruinart on a year that was not declared by many. But we will still need to wait for a few years for the wine to arrive on the markets to see how well his risk-taking pays off. Clearly ambitious, Frédéric Panaïotis also boasts natural easiness and approachability, even playfulness. With those characteristics, he greatly resembles the Ruinart house style. It is a convivial, inviting style, hallmarked by purity and refinement. There is plenty of slowly-built complexity inside, but the façade is one of accessibility and instant appeal. What was your childhood dream job? I dreamt to become a veterinarian or work with animals in one way or another. What is your favourite country outside France? Japan. I like the culture and gastronomy and get very well on with respectful Japanese people. Who are the cellar masters that you have the greatest respect for and why? My previous boss Jacques Péters at Veuve Clicquot for teaching the importance of teamwork and Richard Geoffroy for what he has created at Dom Pérignon. Have you had a life-changing wine moment? Yes! A bottle of Richebourg 1976 in the Christmas of 1985 right after my viticulture lessons at the agronomy school literally changed my life and led to my career in the wine industry. The best wine you have ever drunk? Château d’Yquem 1967 was so special that it put tears in my eyes. The wine you must taste before you die? The inaugural Dom Ruinart Rosé 1966. We do not have any in the cellars, so please, if you possess it, give me a call! What would be your last meal? A Japanese meal, sushi or kaiseki. The chef could choose the dishes for me. What are your hobbies? I enjoy free diving, tennis and cooking. What is your all-time favourite movie? Le Grand Bleu or The Big Blue; I have seen it at least 20 times!